DSLR stands for Digital Single Lens Reflex. A quick Google or trip to Wikipedia will tell you that. But what does it mean, how do SLR cameras work and how are they different from other types of camera? 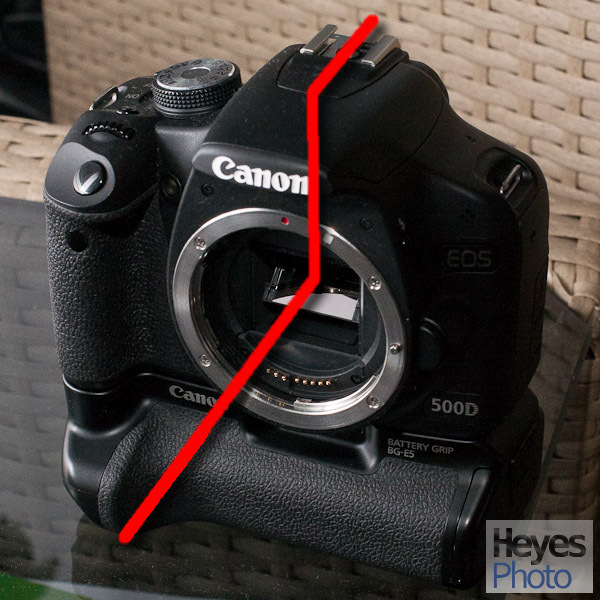 Before we can compare the differences we must first understand how an SLR camera works. Let’s break it down. The light we see when we look through the viewfinder on our SLR camera and the light that hits the image sensor when we make an exposure comes through a single lens. This might seem obvious until you consider that not all cameras work this way. Some cameras have two lenses – one through which the exposure is made and another, either above or to one side, that enables you to see through and compose the photograph. Reflex gives us a clue as to how using the same lens to see through and also make the exposures is possible – reflection. As you can see in the above image, there is a mirror placed at a 45 degree angle directly in the path of the light through the lens. This reflects the light upwards where it enters another reflective assembly above the mirror which corrects the image (remember, it’s been reflected!) and then directs it out of the viewfinder and into your eye. Below is a crude drawing of the general path of the light through the camera when the mirror is in its normal position. Normal light path (red line, simplified) through a DSLR camera. Think of it like a periscope in reverse – in principle it’s not really that different. But what happens when we want to make an exposure? Well, quite simply, the mirror moves out of the way when you press the shutter button and lets the light hit the sensor behind it. Light path (blue line) to the sensor when the shutter button is pressed. Imagine that the mirror is moved up and out of the way. Have you ever wondered why the viewfinder “blacks out” for a moment and the camera makes a “thunk” noise when you take a picture? The sound is that of the mirror being quickly moved out of the way and of course, because the mirror has moved, there is nothing to reflect the light from the single lens up into the viewfinder until it is put back into position again. And that’s about all there is to it! Hopefully you now have a better understanding about how an SLR camera operates. So what are the advantages of SLR cameras over other types of camera? When SLR cameras first appeared one of the main advantages was that they were significantly less bulky than some of their twin-lens alternatives. Today, with the advent of small mirror-less cameras, this is no longer true and SLR cameras are among the largest a typical consumer would consider buying. They are, however, still a popular choice and indeed the preferred choice among professionals. There are numerous reasons for this – but the main reason specifically related to the SLR design is that when you look through the viewfinder, what you see is very close to what you get in the exposure. This is a very important advantage for working photographers and for those who simply do not wish to deal with any potential margin for error. What about the disadvantages of SLR cameras? The most obvious disadvantage of SLR cameras is the bulk. Existing lens mounts and the physical space required to house the mirror and other optical components give the cameras a minimum practical size which is much larger than some of the alternatives. However it’s important to take this perceived disadvantage in context, as many photographers find the larger dimensions of the SLR cameras more comfortable when using longer and heavier lenses. Another disadvantage is that the internal construction of SLR cameras is often more complicated, and therefore more expensive, to produce. This complexity and use of moving parts can sometimes raise issues of reliability and mechanical wear. However, again, I feel it is important to put this into context and point out that this doesn’t make an SLR camera inherently unreliable. It’s just a characteristic that is useful to be aware of. Hopefully, that gives you a bit of an insight into how SLR cameras work. Knowing the basics will give you more confidence in your equipment and will stand you in good stead when it comes to more advanced topics, such as the difference between a 95% and a 100% viewfinder and when you should use the mirror lockup function on your camera. Good foundation knowledge goes a long, long way! I’m addicted to taking pictures, but have never had an amazing camera like I dream of. I finally am close to being able to purchase a decent camera, and I’m looking at something like the Cannon Rebel or it’s Nikkon counterpart. Any suggestions? Hi Tiffany! A Canon rebel is certainly a good starting point. The camera featured in this post is actually a Rebel, but in Europe they brand them differently for some reason – in this case the 500D. I think it’s called the Rebel T1i in America, but don’t quote me on that! Whether you go for a Canon or Nikon is really up to you, because for all intents and purposes I don’t believe there is much between the two. Canon are regarded as having the better video recording functions in their current crop of cameras. I shoot with Canon cameras, but almost everyone I know shoots with a Nikon… read into that what you will! My suggestion would be to go into a camera store and try out the different camera bodies and see which feels best for you. What I would suggest, regardless of which brand you choose, is that if you can afford it, get the model ABOVE the entry level model. This will give you more room to “grow into” the camera and you won’t find yourself limited by the functions. 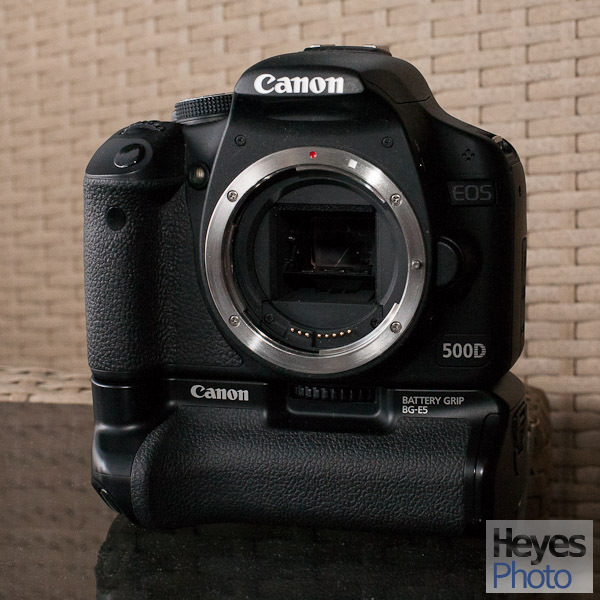 The 1100D for example, which is currently the “bottom rung” Canon camera, is limited in ways you just won’t appreciate until you start getting more familiar and ambitious with your photography. Yes, I have one, right now I have a Kodak easy share, and its got quite a few functions, but I don’t really guess I have them all down. How do you take those pictures where the subject is nice and sharp but the background is a blur?? What you’re referring to is shallow “depth of field” (or sometimes, “depth of focus”) and what that means is anything in front of or behind what you’ve focused on quickly goes out of focus and therefore appears blurred. This is great for portrait photography for example, as it allows you to smooth out the distractions in the background and really make your subject stand out. How much or how little blur you can create depends on a number of camera and lens features/settings. The size of your aperture, the focal length, the size of the image sensor and how far away you are from your subject all contribute to how much you can create. Unfortunately with compact cameras like your Kodak, the size of the image sensor is so tiny that when you take a picture almost everything is in focus. It is practically impossible to get anything close to the results you would easily get from an SLR camera. I would say this is a major motivator for people to upgrade their camera to one that offers them a lot more creative control and flexibility. I have several point and shoots and the portrait mode on the cameras I have may give Tiffany the depth of field effect she is looking for. Her owners manual should tell her is the camera is so equipped. I cannot wait to get a better wifi connection to check out the video you posted. Looks very promising. I have loaded up my Minolta Maxxum 7000 with a fresh roll of film and want to put the techniques from your ISO post in to practice. As time and money allows I hope to post some of those photos in the next three or so weeks. Jagged Man you are absolutely right – some compact cameras have the ability to simulate the background effect. Results may vary! The video I posted (from other site I might add) just gives a demonstration of what effect going from a very wide aperture (f/1.4) to a very narrow aperture (f/16) has on the background. Sometimes it’s better to show rather than tell! I hope your experimentation goes well and would love to see the results. It was a long, long time ago since I last shot a film camera I’m ashamed to say. I’ve toyed with the idea of getting a film camera just for fun (and learning of course). You probably know more about film than I do!